How should I assign Troops to Invaders and then to Marauders? If I add an Intruder to each troop, then I'm unable to add a Marauder. 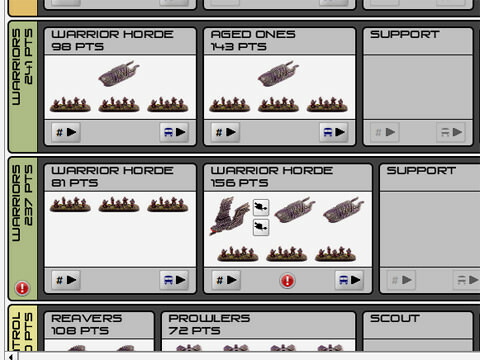 If I add two Invaders and a Marauder to one troops squad, I get a warning (the exclamation mark).